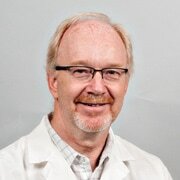 Dr. Timothy Hogan has been on the CPC Board of Trustees since 2012 as well as the Medical Director for the STI Clinic since 2005. He has been a family physician since 1985, having delivered hundreds of babies for the first 20 years of his career. He currently has a family practice in Oakwood, Ohio. He and his wife, Elizabeth, live in Defiance, Ohio and attend church at Emmanuel Baptist Church in Paulding, Ohio. They have 7 children and 7 grandchildren.